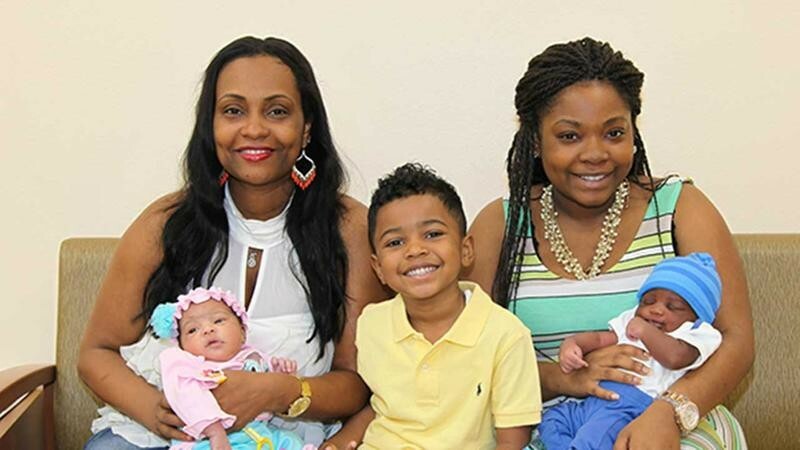 Angela Patram, 37, and her oldest daughter, Teranisha Billups, 20, both gave birth at the same hospital on the same day within minutes of each other. 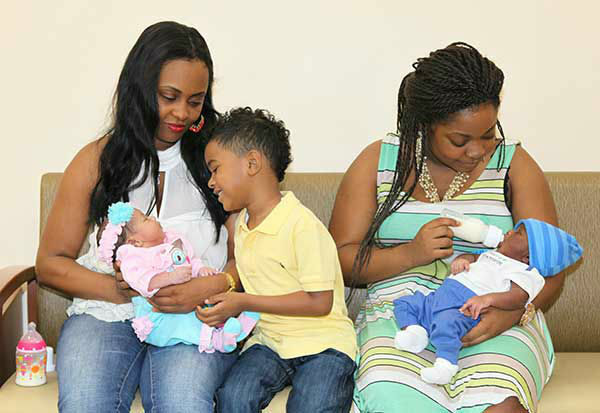 Despite their unusual relationship, the two will be raised as friends, the new moms said. Dr. Zakhary said this is one of the most unique births he’s ever witnessed. This is Patram’s fifth child and her daughter’s first. Billups’ 4-year-old brother — Patram’s son — joined in for the photo opportunity, along with Dr. Atef Zakhary, who practices at the hospital.